You are currently browsing the BestOfBothWorldsAZ.com blog archives for the day Tuesday, September 14th, 2010. I have a bit of a pet peeve. It makes me crazy when people confuse a lip augmentation for Botox. Lip augmentations can be created with soft implants or injectable fillers like Juvederm. Botox is used to relax muscles in areas like the forehead, between the eye brows, and crowsfeet around the eyes. So, please don’t tell me that you can’t stand it when women have so much Botox in their lips. Lisa Rina: Lisa admits to having filler injected into her already naturally full lips. What’s up with the big lips? When you do see women with overly plump lips, chances are they like that look. However to be fair, I need to tell you that lip augmentations do look a little fuller the first few days after injections. The lidocane will cause the lips to swell, before filler is ever even injected. When you see photo’s of your favorite celebrities with new plump lips, they may have just recently had an injection and are still swollen. Some women like overly augmented lips and large augmented breast, the same way that some people like tattoos, piercings or overly tweezed eyebrows. It’s about personal preference and self expression. It is about regaining a youthful look, not changing your look. There are people with naturally thin lips that need filler to give their lips a little more shape, however for many people filler is used to regain lost volume. As we age our face losses volume, and lips become thinner. Look at photo’s of yourself when you were a teenager, I will bet your lips look fuller. Brook Shields is a true natural beauty, she doesn’t look “old” in any way, however you can tell she is not in her 20’s. If you look at her recent photo, she doesn’t have any skin discolorations, lines or wrinkles. However if you compare it to a photo of her when she was younger, you will notice a loss of volume in her face. 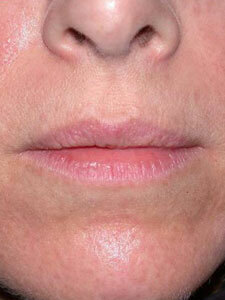 Look closely at her lips, not only are they fuller, the upper lip pulls up a little toward the nose. Now look at the space between the lower lip and chin, the lower lip has a little “flip” out. It is this type of subtle differences that give the face a more youthful appearance. 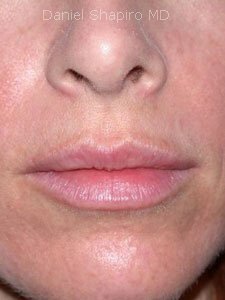 A little botox can be injected above and bellow the lip to create the “flip”, botox can also be injected at the corners of mouth to turn the corners of mouth up. This is an advanced technique and should be done by a master injector. If you have had a lip augmentation that looks to full, asymmetrical or lumpy there are ways to correct it. If your lip augmentation is an implant you need to consult with a plastic surgeon about having it removed or replaced. If you have had temporary fillers, you can have injections that will “dissolve” the filler. 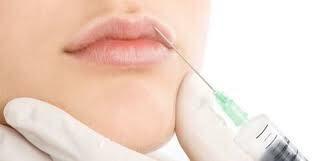 The good thing about temporary fillers like Juvederm is they are temporary and will eventually go away on their own. I strongly discourage anyone from getting injections that are not FDA approved. I know that it is tempting to have cosmetic procedures in other countries that are not approved “yet” in the United States, but it is risky. Many of these treatments never get FDA approval because they are dangerous. As a registered nurse, born and educated in Arizona, Pat has been in plastic and reconstructive surgery for the last 30 years. 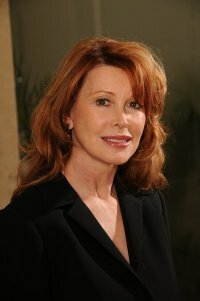 As an instructor for Aesthetic Advancements Inc. and Alga-Medic, which is Allergan’s Consortium of Research and Education Programs, Pat travels throughout the United States teaching expertise and safety principles in soft tissue filler and Botox® injection techniques to doctors, nurses and nurse practicioners. Pat Foley-Naumetz is very respected by industry professionals, and her artistic eye and gentle hand has earned her the reputation as Arizona’s best injector.